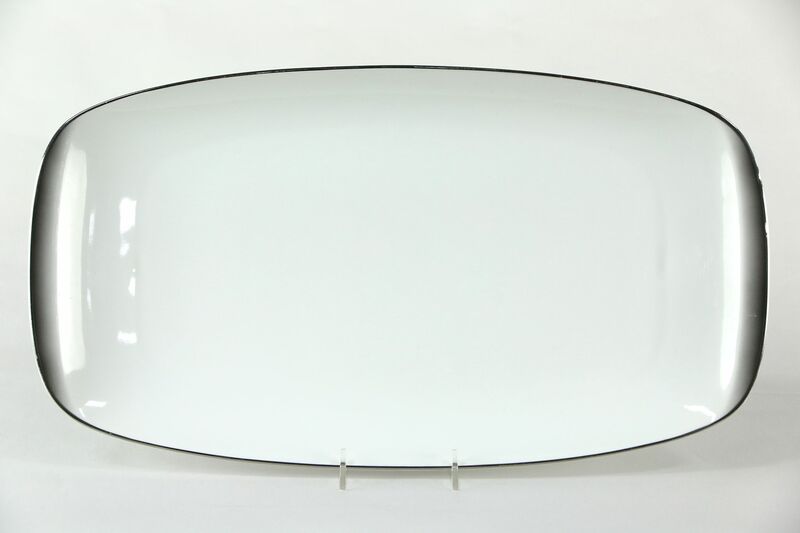 17" Oval Serving Platter in Evensong by Rosenthal - Continental White has a few scratches and wear as shown in photos. Size is 17" long and 9 1/2" wide. Please view 7 photos at full screen size for best detail. Related items in photos are sold separately.